Luxurious silk pashmina, digitally printed. Luxurious Pashmina in rich patterned satin and line in soft brushed silk, with the feel of cashmere. 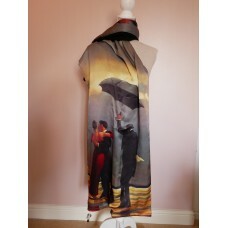 Features The Singing Butler, printed digitally onto the Pashmina.